Further to my last article on why the 400m is the greatest race in on earth, this article is about why, right now, it is the greatest track and field show on earth as well. First let me explain about the other track and field points of interest. The 100m is a one man show. It is the “will Usain Bolt win and what will his time be?” The only interesting thing about the other competitors for him is about their respective drugs bans. Old news, the track and field community would rather it go away. Not because we want it swept under the carpet, but because the people like Gay and Gatlin hold little interest for us. They are soiled goods that haven’t really paid a penance. 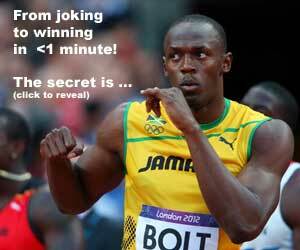 Bolt is the only show in town and if he isn’t racing, it isn’t as interesting. Pole Vault is Lavellenie’s show. How high can he go? That’s it. Entertaining (if TV would ever get the coverage of field events right) but not really hot competition. Which Ukhov will turn up? Is anyone ever going to challenge Valerie Adams? That isn’t to say I won’t be watching these events and enjoying every moment. But they are binary, zero-sum events. Will they or won’t they. They are about the performance of a single competitor in each. It is the match-ups that really drive my interest. Bolt, Weir and Blake is a good race to watch in the 200m, if it would ever happen outside a major championship, and there is an excellent competition building between Shelly-Ann Fraser Price, Allyson Felix and Blessing Okagbare. 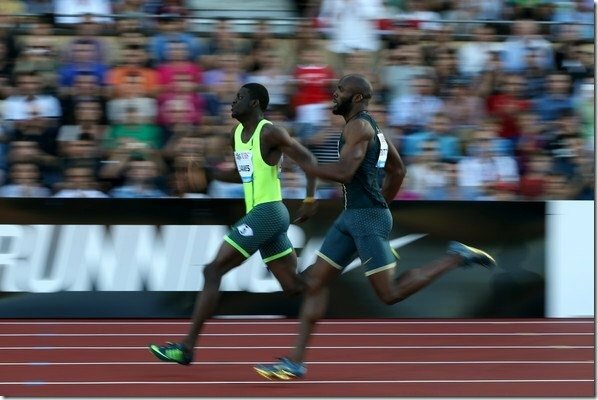 But the true Blue Riband race right now is the rivalry between Lashawn Merritt and Kirani James. Since the World Championships in 2011, James and Merritt have been slugging it out like two wizened prize-fighters, trading blows over 12 races. James the young 21-year old pretender versus the 28-year old Merritt, the younger man leading their head-to-head by 7 races to 5. Twice this year, both men have dipped below the magical 44 second mark in the same race. James won both. Merritt must wonder what he has to do to beat James. When he lays down a season’s best of 43.92, James steps up with a IAAF Diamond League and new National Record of 43.74. James has a lot of time left at the top. Merritt has a few, but not too many. However, what you can be sure of is that these two will continue to slug it out, over and over again. Who will history see as the best? Only time will tell, but watching the story unfold is what makes this the greatest (track and field) show on earth.